On this site you are free to listen to music and use other material produced by DYGONG. Be aware that all material found here is protected by copyright and must be deleted after use if downloaded. This unplugged version of Marts 2010 was recorded during a rehearsal in a hotel in Bergen, Norway. Der er den was originally written in 2004. This version is an alternative version written for the concert during Nordic Music Days 2010 and is performed by Ying-Hsue Chen. 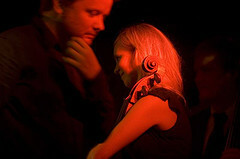 "Olsen" for two violins was first performed in 2005. Following recording done at DKDM Copenhagen with musicians Eva Pacini and Peter Due. "The Deconstruction of my shadow" was performed 28/8 2006 at the "Young Nordic Music Festival UNM". 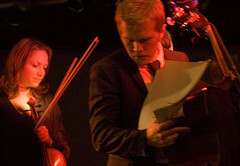 The piece is played by ensemble DYGONG and conducted by Jesper Nordin.